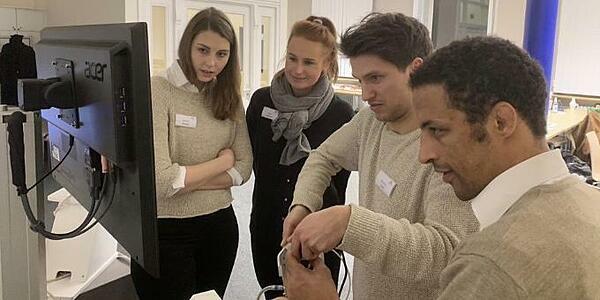 Initiated and organized by student Alexander Korthaus, the first training course on knee arthroscopy with simulators for students took place on January 25th 2019 at the Asklepios Campus Hamburg (ACH) of Semmelweis University. 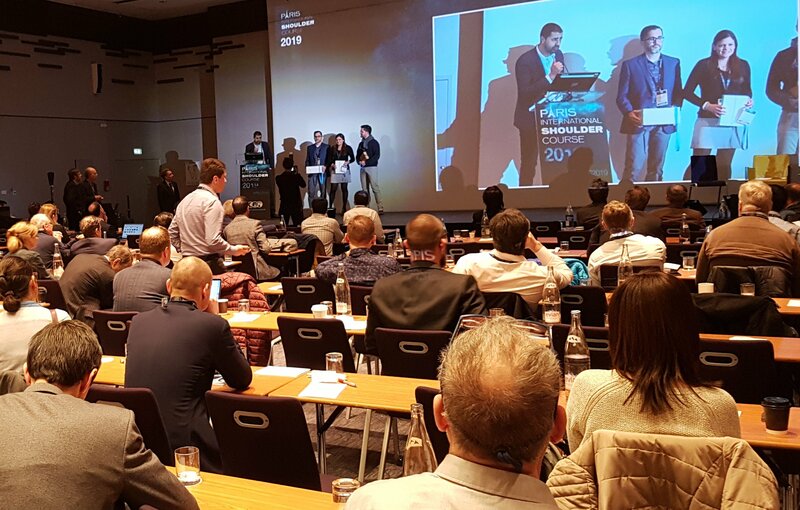 Divided into three small rotating groups, all attendees were given the opportunity to try a clinical examination, a sonography of the knee, and an arthroscopy on the VirtaMed ArthroS™ simulator; all in half-hour workshops under the guidance of experts. Alexander Korthaus, with the support of Dr. Birgit Berger, teaching coordinator at the ACH, was able to arrange the arthroscopy training with this excellent arthroscopy teaching tool from the Swiss company VirtaMed. According to Isabel Gauggel, Senior Business Manager at VirtaMed, who came from Zurich for the day, this simulator uses various anatomical models and original instruments to give the impression of operating on real patients. Access, handling of the camera and original instruments make it possible to achieve a particularly high level of reality. It became clear already in the morning how easy, and at the same time flexible, the training possibilities on different body parts are with this simulator. In fact, it is possible to mount knee, hip, shoulder or ankle modules on the same platform. The company, VirtaMed, also had their interdisciplinary modules VirtaMed GynoS™ and VirtaMed UroS™ with them on January 25th. Dr. Birgit Berger invited various departments at Asklepios to get to know the simulation platform. Several doctors were happy to accept this offer. No wonder that the simulator created a great deal of enthusiasm among the students: in the final feedback round, they were impressed by the opportunity to train on the - reportedly - "superb" simulator and the chance to practice without running the risk of making a mistake. To read the full article in German, please visit the website of Asklepios Campus Hamburg.